Click here to visit the NAP website. We share this with you. It is something very special. We are pretty proud of this. So we are going to tell you about it, and we are going to brag about it a bit. 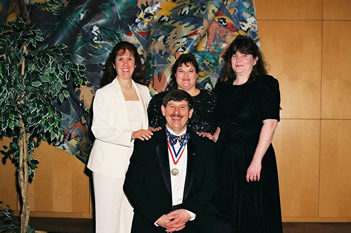 Dr. Wayne was nominated, and then elected in 2001, to be a Distinguished Practitioner to the National Academies of Practice (NAP). Because of the national tragedy of September 11, the installation banquet was rescheduled from September 2001 to September, 2002. Quite the affair. Washington, D.C. Medical professionals (mostly human medical) of all stripes from across the nation. Black tie dinner. Dr. Wayne installed as a new member. It was a very special ceremony and night. 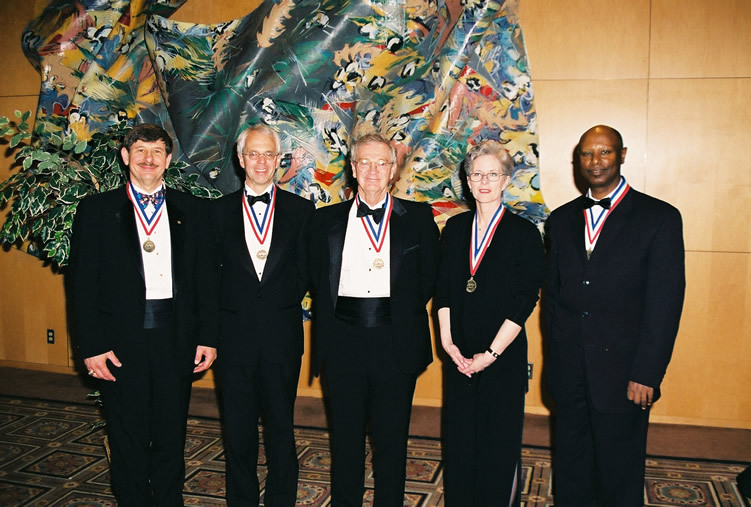 The National Academies of Practice is a nonprofit professional organization composed of elected, distinguished representatives from ten different health professions. 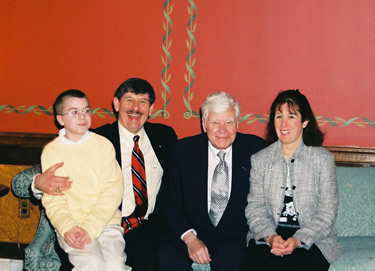 Founded in 1981, the central purpose of NAP is to advise public policy makers on health care issues, using NAP’s unique perspective – that of expert practitioners and scholars joined in interdisciplinary dialogue. It is the only interdisciplinary group of health care practitioners dedicated to these issues. 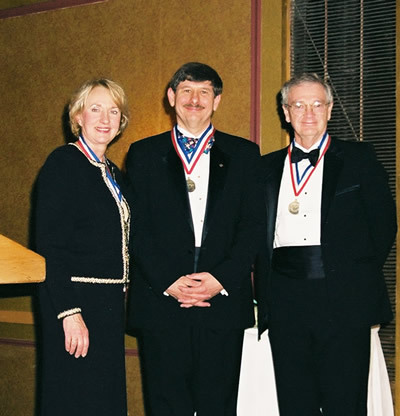 Most elected members are distinguished practitioners and scholars who have achieved distinction while spending a significant portion or all of their careers in direct patient care. Only 150 practitioners or scholars may be elected to each Academy. The National Academies of Practice is dedicated to quality health care for all, by serving as the nation’s distinguished interdisciplinary policy forum that addresses public policy, education, research and inquiry. One is elected as either a Distinguished Scholar or a Distinguished Practitioner into one of the 10 Academies. 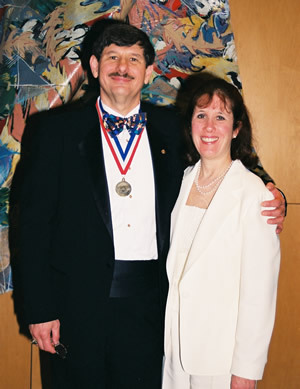 Dr. Wayne was elected as a Distinguished Practitioner. Elected membership into each Academy is limited to 150 individuals, and it is for life. No new member can be elected into an Academy until a membership is opened. Dr. Wayne was so pleased to have been nominated for membership by a very special mentor and person, Dr. Carl A. Osborne, from the University of Minnesota. Dr. Osborne is a preeminent researcher, clinician, author, philosopher, educator, and humanitarian, recognized across the world for his work. The Randolphs with U.S. Senator John Melcher. We sat in the Senate, toured the House, & ate in the Senate dining room. Dr. Wayne is most humbled to have the opportunity to serve in this capacity, and to have been nominated by Dr. Osborne.